Spring Blossom Journey: Just Add Ink #201 Colour Combo! Just Add Ink #201 Colour Combo! This week at Just Add Ink we've got a great colour combo for you to try! I actually found this one a little challenging but that's the point of a challenge - right? 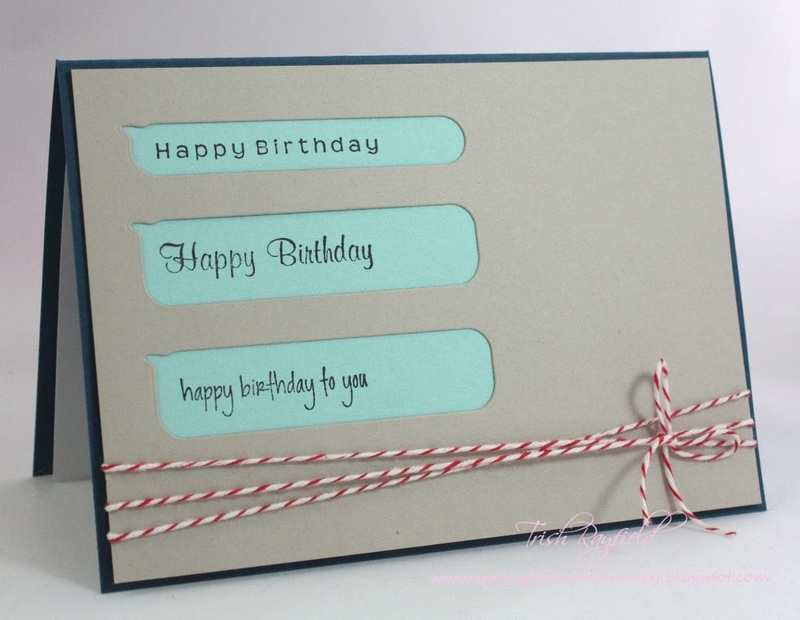 I made this card to look like text messages - well I hope that's what it looks like! 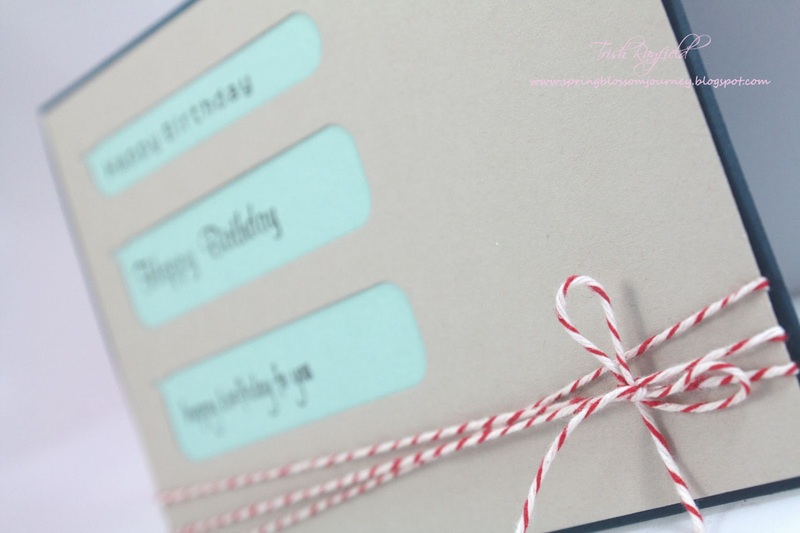 Don't forget to pop over and see all the inspiring cards from the other Design Team members! I LOVE this card Trish! Great use of the word bubbles to create your SMS messages - very clever! LOVE your unique card, Trish. Great job incorporating all those colours in such a clean design. Just fabulous! A little late, but I wanted to tell you I love your card! The speech bubbles with so many birthday wishes...very clever!